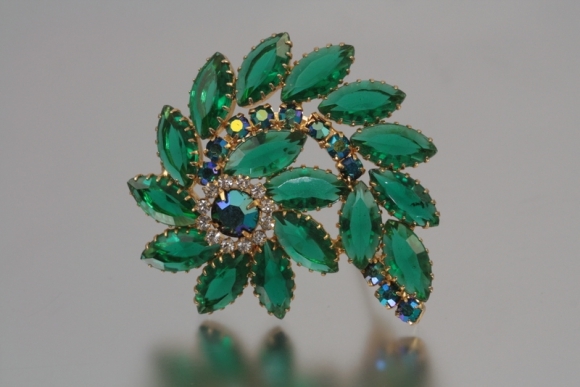 Set with luscious green glass navette stones in a feminine swirl, this brooch would be a beautiful addition to a holiday dress! Accented with teal aurora borealis chatons and small clear rhinestones. The brooch measures 2 1/4" x 2 1/8". Excellent condition. Circa 1960s.